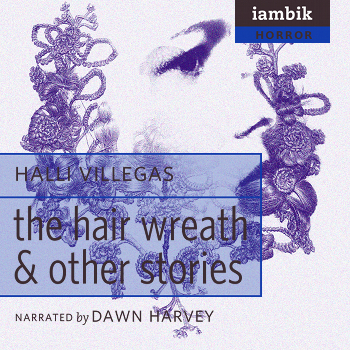 Halli Villegas is the author of three collections of poetry, Red Promises , In the Silence Absence Makes and The Human Cannonball , and several anthology pieces. She has published online erotica under a pen name. Her poetry and prose have appeared in places such as the LRC , Exile , Kiss Machine , Pagitica , Variety Crossings and The Windsor Review , and her book, The Hair Wreath and Other Stories , was published by ChiZine in 2010. Halli has received funding for her writing from the OAC Works in Progress in 2006, the TAC mid-level writers in 2007 and 2009, and the OAC Works in Progress in 2009. She is also the publisher of Tightrope Books and the administrative director of the Rowers Pub Reading Series.